Ground Penetrating Radar (GPR) accurately locates and images objects and structures embedded in concrete like rebar, utilities, conduit, tension cables, PVC, fiber optic cables, and more. GPR is the perfect cost-effective solution for detecting rebar in concrete. Cutting through rebar is a common problem that can weaken a structure and cause damage to core drill bits and cutting blades. GPR can look 18 inches or more into concrete at high resolutions and give accurate, real-time location and depth readings, so unintentional cutting can be avoided. GPR locates conduit embedded in concrete so contractors can avoid cutting it and dodge the resulting injuries and power outages. Perfect for preplanning trench cuts. Due to the extremely high tension placed on post-tension cables, contractors very much want to avoid cutting them. PT cables are frequently used in parking structure construction and garages. These are typically located near large buildings, so using an X-ray is especially problematic. The evacuation of large buildings is no small feat and can be expensive, difficult, and disruptive. GPR does not require evacuation, so these additional problems are eliminated. Occasionally during new construction, an inspector may fail to do a proper inspection prior to the concrete pouring. Of course, the contractor needs to provide evidence that the structure meets the required specifications. GPR can gather the appropriate information that can be presented to the inspector or engineer in a format that they can use. GPR can locate underground utilities so contractors can avoid damaging them. 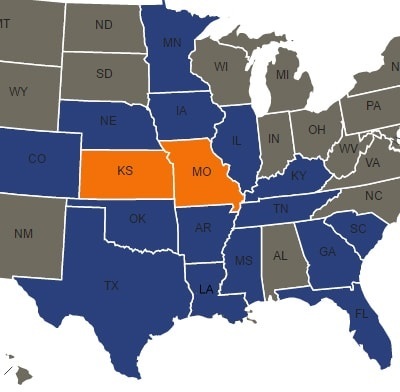 811 One-Call Systems are great resources, but One-Call techs only mark-out public utilities. Sites with installed utilities that are not owned by the local utility company will not be located and marked. GPR can locate both metallic and non-metallic lines, including inside and outside utilities such as water, gas, and electric lines. GPR locates water leaks by detecting the highest concentration of saturated soils below concrete slabs or underground. The need for exploratory digging is eliminated, as is the need to fill in the exploratory holes and replace landscaping. GPR units are very portable and with real-time readings, there's no delay in getting the results, so work can begin right away. 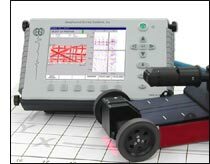 The advantages of GPR over using X-ray methods are numerous. Read more here. The savings in time and money is substantial. Return to the main Ground Penetrating Radar page. .